The Senator representing Anambra South, Senator Andy Uba has debunked the news that a Federal High Court in FCT Abuja had issued an order of arrest against him. According to a statement obtained from his media team, the news is described as a mischievous propaganda sponsored by embattled Victor Uwajeh. 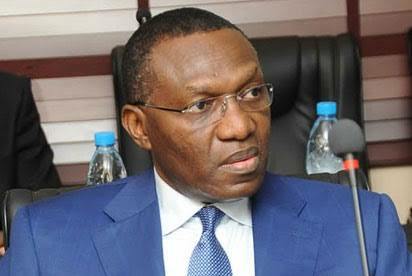 According to report, the operatives of Department of States Security Service, DSS and Nigerian Police force are on a manhunt for a self-acclaimed United Kingdom private investigator Chief Victor Uwajeh who attempted to swindle a serving senator Senator Andy UBA representing Anambra south in the National Assembly. Yesterday Again, for the third time, Justice John Tsoho of the federal High court Abuja yesterday ordered the office of the Attorney of Federation AGF to serve a fresh summons on a self acclaimed private investigator Chief. Victor Uwajeh to appear before the court on March 29, 2018 for his arraignment. In a statement issued Friday evening, Senator Uba' media office described the report of his arrest as misleading, stating that the court under Justice Binta Nyako never granted such an order. “ We read with much dismay the news that a court of law had issued an arrest warrant for Senator Andy Uba, our principal. We clearly state that the court under Justice Binta Nyako did not agree with the Anti Corruption and Integrity Forum its application which sought to compel the Inspector General of Police to arrest and prosecute Senator Uba. ACIF has been engaged in an unholy act of shielding one Victor Uwajeh, a man who is standing trial on a four count charge bothering on fraud, impersonation and forgery. Acting in accordance with the law, Justice Nyako denied this application describing it as an abuse of court process, before going on to dismiss the suit itself (FHC/ABJ/CS/175/2018.